The End of the Bottle. The End of the Year. I get reflective when the calendar flips to this chunk of the annum. I like it – and I think it’s healthy. It makes me appreciate how nothing happens in isolation. And how the interplay of circumstance and happenstance creates our day to day lives. I believe it’s a natural time to do it, considering how our society looks at the calendar. We talk about the changing of the seasons, but not many folks are out there celebrating Beltaine or Saturnalia. Our collective point of annual reflection is the last week of December, culminating in the concrete marker of New Year’s, with its resolutions and promises sometimes kept. What does a semi-professional wine reviewer reflect on during this time of year? Open a magazine, go online, or just read the rest of the issue where this column appears. You’re going to run into Best of 2013 lists, Top 10 lists, Bottom 10 lists – we love our lists. We collectively enjoy putting things into categories. I thought about doing something like that, but I quickly realized that my own experience isn’t broad enough to put together a proper spread. I’ll leave that sort of thing to some of my other compatriots in the wine world. When people I meet discover that I’m a wine writer, the countdown begins to the inevitable, “A wine writer? What’s your favorite kind of wine?” I’ve learned, in the spirit of Bull Durham’s Crash Davis, to have my clichés ready. “Whatever’s open!” is my usual quip. That usually earns me a couple of weak chuckles and I can move on to other topics. Why? Because if I try to answer the question honestly, I fall to stammering. An honest definition of my favorite wine is my “one hand clapping.” It changes and slides, depending on the season, the day, even the hour. When I try to think of the best juice to cross my palate – I can’t conjure a singular image. That doesn’t mean I can’t try. When I do, little vignettes play across my cerebral cortex of times that I’ve tried this wine or that. I can recall opening a shipping box to pull packing material from a particular wine I’ve been waiting for, or the memories of a particularly good meal that the Sweet Partner in Crime and I put together to go alongside a bottle we’d bought on one of our travels. I can sometimes close my eyes and remember the music I was listening to when I experienced a certain wine. I still, however, can’t definitively identify a favorite. Every glass of wine, whether from a jug of cheap plonk or a thousand-dollar bottle of Bordeaux, tells a story, and wine tells more stories than any other beverage. Wine comes from earth, air, water and sun. (And yeast.) A glass of wine communicates the soil the grapes were grown in; how they were harvested; how long ago they were bottled. There’s a direct, unadulterated line from the seed through the harvest past the winemaker to the glass. And that’s pretty astounding, if you take the time to think about it. Other alcoholic beverages require additional work. Beer requires mashed grain. Whiskey, vodka, rum, tequila – they need to be distilled. You can brew a craft beer in any of the 50 states and it’ll taste like a craft beer. I’ve seen bourbon from New Jersey and scotch from Washington. But pinot noir won’t grow in Maine. You’re not making good sparkling wine in South Florida. 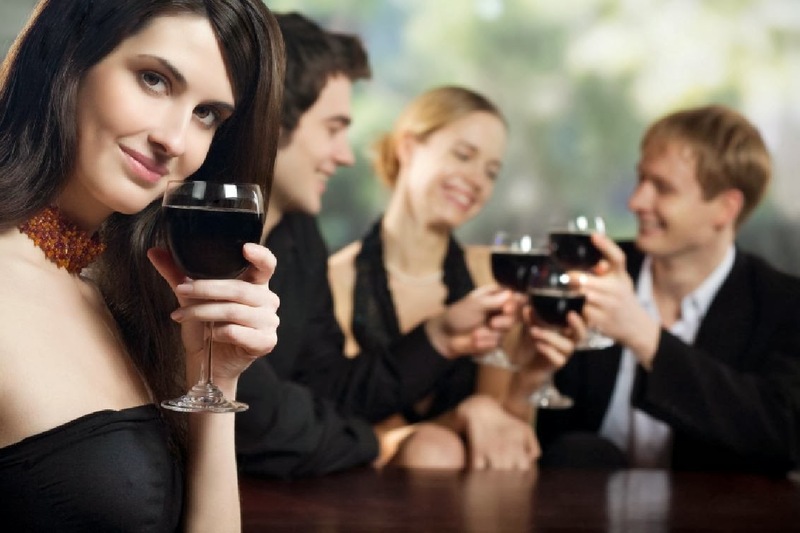 Each glass of wine communicates something unique. Scent. Taste. Flavor. I don’t have an extensive wine cellar, but there are some pretty good bottles down there. Many of those bottles came from trips that we took. There might have been something about the description of the wine that resonated with me – be it a detailed description of the terroir or just an interesting tale about how the winemaker came to follow that trade. For instance, I have a number of bottles of pinot noir from a winery we discovered in Oregon called Libra. We tried these wines on the back deck of the home of the winemaker, Bill Hanson, at the end of a beautiful day. We swapped tales. We drank wine and watched the sunset. Is it the “best” pinot in the world? Who knows? But every time I open one of those bottles, I flash back to that deck, and it’s glorious. In fact, the night I wrote this, I was doing dinner prep. Roasted duck breasts on sweet potato puree with wilted greens. I asked the SPinC what pinot she thought would go best. Without skipping a beat, she said, “One of the Libras.” She said later, after she read this column, that she’d pictured that moment on Bill Hanson’s deck before she made the suggestion. Every civilization lives through its stories. Stories connect the present to the past; demonstrate place and longevity; and connect an individual to something larger. The story, the ritual -- that’s what keeps me coming back, and that’s my favorite thing about wine. So as not to leave you empty handed on Christmas or New Year’s – you might need a bottle of sparkling wine before heading out this time of year. If you’re looking for a bottle under $10, you can’t go wrong with my old faithful – Freixenet Extra Dry Cava. In the black bottle. Simple, basic bubbly that’s good with just about anything, food-or-occasionwise. If you’re thinking under $15, consider Da Luca Prosecco. This Italian sparkler was the bottle we cracked as an aperitif when my family came calling for Thanksgiving. Prosecco makes you happy, and it goes delightfully with almost any appetizer that you might want to throw down. And if you want to spend up to $25 for a bottle to ring in 2014, I’d be hard pressed to find anything better than Mumm Napa Brut Prestige. Extremely elegant, flavorful, and appropriately celebratory. I think you’ll like it very much. If you don’t – I’ll be happy to take any unopened bottles off your hands. And with that, The Naked Vine closes the books on 2013. Thanks for continuing our mutual wine explorations. May your year be full of good health, much happiness, and excellent times. OK, folks – we’re coming down the home stretch to New Year’s. Do you have your sparkling wine for your big end-of-year bash? If you’re planning to spray bubbly all over your fellow partygoers, feel free to load up on Korbel and Asti Spumante. However, if you’re looking for something with a little more complexity and style, you can still find perfectly good bubbly without shelling out fifty bucks for Taittinger or Veuve Cliquot. Thanks to the good folks at Folsom, I had the chance to preview a spread of sparklers in the $20-30 range, which in my opinion, works just fine for an end-of-year celebration. Mumm Napa (NV) “Cuvee M” Napa Valley Sparkling Wine – I would certainly recommend this as a classy aperitif. The Cuvee M is a soft, slightly sweet sparkler that explodes on the palate with a rush of pear and peach, followed by a nice zingy acidity. The peach blossom bouquet is quite pretty, and it holds up all the way to the creamy, fruity finish. All in all, just a very pleasant, friendly, subtle wine that brought a smile to my face. The smile broadened when I tried this with some paté. Sparkling wine is usually good once you’ve “got a little fat in your mouth,” and this was no exception. If you’re doing a swanky party with a spread of nice appetizers, you’d be well-served to pop a bottle of this alongside. 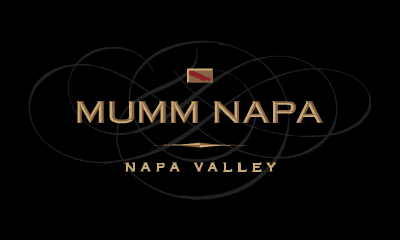 Mumm Napa (NV) Napa Valley Brut Prestige – If the Cuvee M is the greeter, then the Brut Prestige is the dignified hostess, making sure everyone’s glass is filled, needs are met, and that all are having a good old time. “Elegant” is one of the terms I put down for this, and I found drinking this to be a lovely experience. The nose is full of ripe melon and bread yeast scents, which leads to a very tight, persistent “bead” (WineSpeak for “those wonderful bubbles”). Once you take a swallow of this wine, you can feel the bubbles tingling as they make their way tummyward. The melon and peach flavors transition to an expansively dry citrusy finish that’s just delicious. One of our traditions around here is bubbly with homemade pizza – and we had a bit of an odd one to pair: prosciutto, artichoke, roasted tomato, and olive on a thin crust with pesto. Not to fear – it went together like it was made to do so. Thumbs up. Both the Mumm wines retail for around $22. Money well spent. During riddling, the bottles are racked with the neck pointing downward about 45º. The yeast settles into the neck of the bottle. The bottles are turned a quarter turn every day or more often and the downward angle is increased. After a month or two, we are ready for the removal of the yeast or "dégorgement." At this stage, the neck of the bottle is plunged into a sub-freezing liquid, and the settled yeast freezes into a plug. When the plug is fully formed, the cap is removed and the carbonation forces the plug from the bottle. The bottle is then quickly corked and "caged." 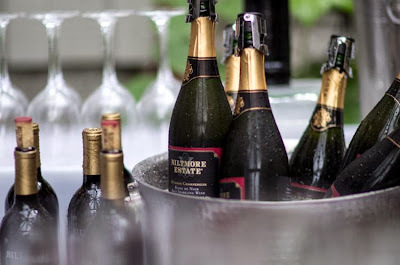 There are, of course, less expensive methods of bottling, but méthode champenoise tends to create the best quality of carbonation (meaning the tiniest, longest lasting bubbles) and flavor. The differences? Well, one you can guess. One bottle is made of chardonnay grapes from the Biltmore’s North Carolina vineyards, while the other is sources from the Russian River Valley in California. The other difference is in aging. The California wine is aged in the bottle for 24-30 months before dégorgement. The North Carolina version ages for 12-16 months. Oh, also – the California one retails for around $25. The North Carolina is about a $30 bottle. Side-by-side tasting, you ask? Absolutely. We cracked these at the same time and gave them a try. First impression? I expected the NC bubbly, as with most whites I’ve had from North Carolina, to be a little sweeter. Not so! This was a brut that earns its stripes. This wine is bone dry. As a refresher, when it comes to sparkling wine, the classifications from sweet to dry go: Doux, Demi-Sec, Sec, Extra Dry, and Brut. There’s actually a dryness level beyond Brut called “Brut Sauvage” – and the NC wine reminded me of one of those. There’s pineapple and apple and a nuttiness to go with the tight sparkle. It’s very refreshing. The California Blanc de Blancs is still “brut,” but there’s more of a roundness to it. There’s more of a creamy yeastiness, along with a basketful of Granny Smith apple flavor. The bubbles are tight and firm with this wine as well. It’s much more of an elegant wine than its Carolina-based cousin. Both wines are quite good. It just depends on the mood you’re in. Though we opened both, we decided that we’d save most of one bottle and have the other later (and if you don’t have a sparkling wine stopper – run, don’t walk, and get one). We decided to start with the NC bubbly. We had this with a smorgasbord of appetizers – bacon-wrapped scallops, liver pate, and creamy cheese with crackers – and it was simply delicious. Get a little fat in your mouth with this one and you’re golden. The California sparkler we saved for one of the Sweet Partner in Crime’s homemade pizzas. I stand by my notion that pizza is second only to KFC as a perfect sparkling wine accompaniment. The pizza – with roasted tomatoes, fresh mozzarella, basil, lots of garlic, and shredded parmesan couldn’t have made a better match for this wine. Delicious. If you’re looking for some wines that fall into the “classy” range but you don’t want to break the bank – any of these four will do you. I am interested in seeing if North Carolina can consistently create sparkling wine like this, though. If they don’t take advantage of what seems to be good terroir, they’re missing a big opportunity. How does a wine so flexible get overlooked so often? I ask the question for myself as much as anything. Chianti, the most well-known Italian wine in the U.S., is a delicious, easy-to-drink wine that pairs up with almost anything. I love the stuff. But when I make my trips to the wine store, I usually scoot right past Chianti completely. Or, if I’m in the Italy aisle, I’m usually wandering to other areas – snagging myself a Barbera, a Montepulciano d’Abruzzo, or a Dolcetto depending on my mood. Then I get the chance to drink one and I think to myself, “Well, hello there! Where have you been?” I almost take it for granted. Chianti was one of the first wines that I wrote about in this space, and I won’t go back over my old tropes about straw basket candleholders and Hannibal Lecter’s food pairings with the organs of certain government employees (which he got wrong, in my opinion – he’d have been better off pairing that poor census taker’s liver with a Bordeaux) – but let’s get a quick review in of what Chianti actually is. First off, Chianti is not a grape. Italian wines are named after the region from which the wine is made. Chianti is a large region in central Tuscany which encompasses parts of several Tuscan sub-provinces. A wine simply labeled “Chianti” can be made from grapes harvested anywhere in this region. Speaking of those grapes, at least 70% of the wine must be made from Sangiovese to fall into the Chianti category. The balance of the wine is usually a blend of other Italian indigenous varietals, along with the occasional addition of Cabernet Sauvignon or Merlot. Chianti tend to be relatively lighter-bodied, full of cherry and raspberry fruit flavors, and with a mineral character that feels a little “chalky” to me. You might see “Chianti Classico” on a bottle if you’re looking. “Classico” has nothing to do with being a “classic” wine. The term refers to the area in the heart of the Chianti region bordered by Florence on the north and Siena on the south. This was the “original” area of Chianti which produces arguably some of the best wine. Chianti Classico must be a minimum of 80% Sangiovese. The complement of Chianti Classico is “Chianti Superiore,” which is wine made from grapes sourced from anywhere in Chianti other than the Classico region. There is one other Chianti-related terms with which you should be familiar. 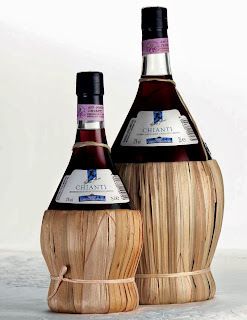 “Chianti Riserva” means that the wine is aged for a longer period of time in barrel – a minimum of two years. A standard Chianti is only aged for 4-7 months. 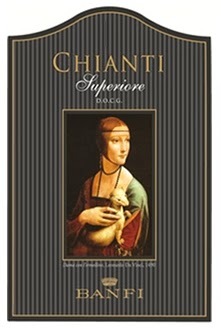 Chianti Superiore must be aged for at least nine months and Chianti Classico for at least ten. The terms can be stacked, so you might run into a “Chianti Classico Riserva” in your travels. 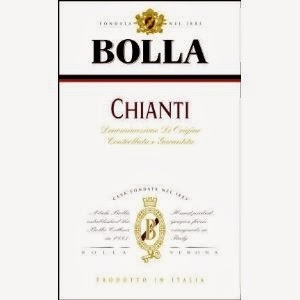 Bolla 2011 Chianti – If you’d like to classify a wine as “perfectly serviceable,” you’d probably land on this inexpensive bottle of Bolla. For a whopping eight bucks, you end up with a table wine that will go perfectly well with just about anything. It’s very straightforward – nice red fruits on the palate, some chalk and mineral in the middle, and a gentle, fruity, lightly tannic finish. It’s not what you’d call a memorable wine, but it falls squarely into the drinkable category. It’s also readily available in a 1.5l bottle for around $12. Not a bad red to have around when you’re feeling indecisive. 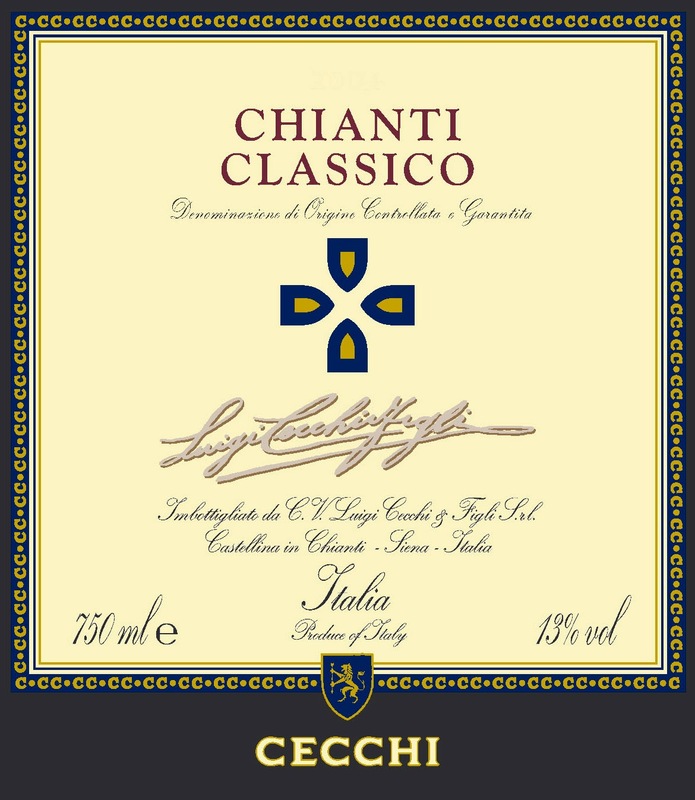 Cecchi 2010 Chianti Classico – A very different bottle from the Bolla. 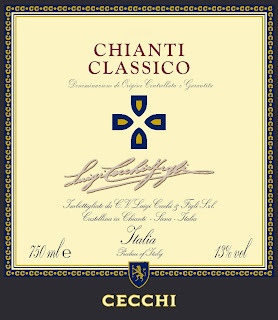 While the “regular” Chianti is fruit driven and simple, this Chianti Classico has a great deal more depth and structure. The characteristic cherry fruit is backed by a deep earthy flavor that reminded me a lot of a Bordeaux. This wine felt considerably heavier to me, and it wasn’t quite as good a food wine with somewhat lighter fare. This one would need something heavier – meat sauces, sausage pizzas, or something along those lines. If you like a richer version of your Chianti, it’s not a bad choice. Banfi 2011 Chianti Superiore – A very interesting contrast to the Chianti Classico. Rather than the light red fruits in the Chianti Classico, there are strong notes of dark fruits like plums. There’s also a strong earthy component that adds a lot of richness. The finish is tart with a little bit of earth, and the traditional Chianti chalkiness popping in to say hello right at the end. It’s a really nice wine. I liked this one a lot. With penne in a goat cheese marinara with bits of cappacuolo “bacon,” it was absolutely delicious. Recommended as a killer value at $11. Banfi 2010 Chianti Classico Riserva – Certainly the richest of this set of wines, and also my personal favorite among them. Again, a much more deeply flavored wine than a standard Chianti, hearkening back to the earlier Chianti Classico, but this one had a richer, smoother texture. The nose is scented with cherries and vanilla. It’s about as full-bodied a Chianti as I’ve experienced, with plenty of dark cherry and spice flavors, along with a backbone of cocoa instead of that signature chalkiness. The chalkiness does show up at the end, but it’s complimented by more of that bitter chocolate flavor. It’s an exceptional food wine. We had this with a pan-cooked chicken puttanesca over orzo tossed with parsley and olive oil. Really nice, and a solid value for $16-18. If you’ve been drinking an array of wines and Chianti has somehow become lost in the shuffle, make it a New Year’s resolution to get back on this Tuscan train. You’ll be glad you did. Sometimes you just need WYSIWYG wine. For those of you unacquainted with the acronym, WYSIWYG (pronounced “wizzy wig”) is old tech slang for “What You See Is What You Get.” The term refers to a user interface where the content you see on the screen is more or less identical to what you’d see if you printed or displayed it. For instance, as I’m typing this, the document looks more or less like the post will end up the way you see it now. As this relates to wine, when I’m thinking about a certain meal or if I’m in the mood for a certain flavor, I can say to myself, “I’m in the mood for a chardonnay.” I know I want a decent wine, but I don’t really want to spend a lot of time with pairing or subtlety. In other words, a solid quaffer in a general category. Both bottles of the recent pair of samples from Mandolin Wines qualify as WYSIWYG. 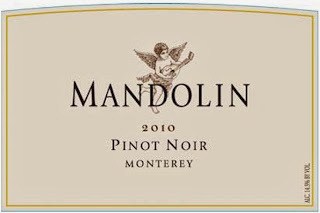 Mandolin 2012 Monterey Chardonnay – Definitely a California chardonnay, but a middle of the road once, intensity wise. I got cream and sweet apples on the nose. “The flavor doesn’t explode your tongue with oak,” said the SPinC, “but it’s definitely there.” The label mentions tropical fruits. I’d say that pineapple is the dominant of those types flavors, but it’s not sweet pineapple. The fruit quickly gets overtaken by considerable oak. Rather than lingering on the finish like many oaky chardonnays, the oak gets clipped by a wave of lemony acidity. 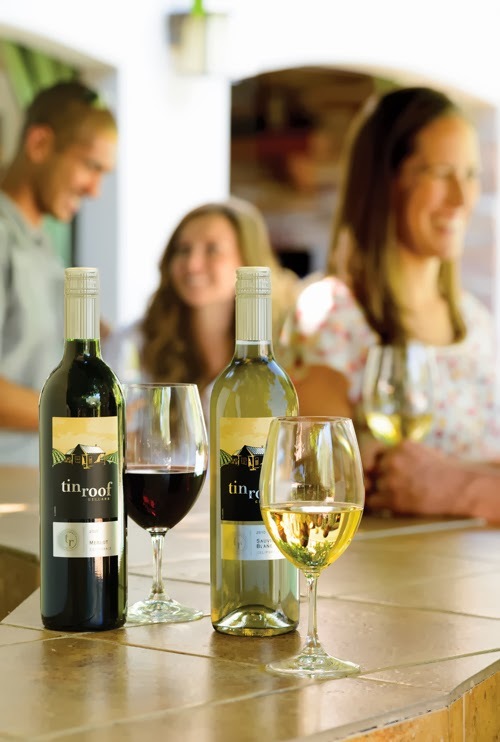 All in all, a good quaffer on its own or with food. Our meal was salmon filets “poached” over white beans, rosemary, and bacon. Tasty meal. 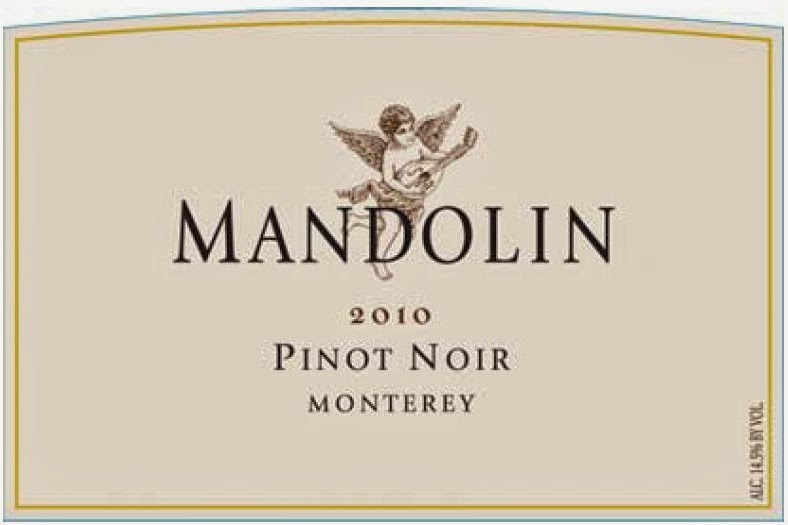 Mandolin 2012 Monterey Pinot Noir – “Perfectly serviceable” reads my note, especially since it’s twelve bucks. A decent “drinking not thinking” wine that would be solidly food-friendly. Cherries and sawdust stand out on the nose. Body is quite light, although there’s good cherry and raspberry flavor that segues into a considerable amount of smokiness which continues through the finish. I don’t usually find the kind of smokiness and silkiness at this price point. Alongside leftovers of a roasted cauliflower soup with toasted almonds and prosciutto, it made for a pretty good pairing. The soup was tasty and the wine was there. Neither of us had the brainpower that evening to think much, so it made for a good pairing. Mandolin also makes a Riesling from Monterey, and Central Coast Cabernet Sauvignon, Merlot, and Syrah. Prosecco is generally a solid aperitif, as it’s a lighter-styled sparkler with nice fruity flavors that complement many cheeses, fruits, and other appetizerish finger foods. The Da Luca (NV) Prosecco certainly fills the bill. It clocks in at 11% alcohol, so it’s not going to beat you over the head right off the bat. The effervescence is a bit sharp, which isn’t out of the norm for an Italian sparkler, so it’ll certainly perk up your taste buds. Nice apple blossom scents get carried up by the bubbles. Flavors start out as apple and pineapple and get a little more tart towards the end. The finish has some fruitiness along with the dance of bubbles on your tongue. All in all, a very nice wine to start a party with. I opened my sample bottle over Thanksgiving as an aperitif for my family and people seemed to enjoy it. As appetizers for folks’ arrival, we laid out shrimp cocktail, baked brie with apples and cranberries, salami chips, and roasted carrot dip and the wine flexed easily enough among the various flavors. For $12-14, a good starter wine for an event or an evening. Wine grapes can be like sandwiches. A sandwich, by any other name, is a sub…or a hoagie…or a grinder…or a torpedo…depending on where you’re placing your order. Similarly, wine grapes can have regional monikers. Sangiovese, one of the best known Italian wine grapes, has 50+ regionally derived names. 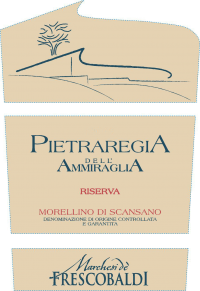 One of these Sangiovesian synonyms is starting to make its way to the States in greater quantities – Morellino, from Maremma – a coastal region of southwestern Tuscany next to the Tyrrhenian Sea. The genesis of the name “Morellino,” which translates as “Little Dark One” may come from the brown color of the Morelli horse, uniquely of Tuscany; or it may come from the flavor of the Morello cherry, which mirrors many of the flavors in Sangiovese. Regardless, if you have the opportunity to try one of these (and I hope you will), think of it starting in terms of a Sangiovese-based wine. The climate in Maremma is somewhat warmer than in the more northern areas of Tuscany, such as Chianti. As such, the wines tend to be more fruit-forward and soft, in contrast to the angular flavors typically found in the northern wines. The warmer climate also allows some non-indigenous grapes like Cabernet Sauvignon and Syrah to flourish. The original Supertuscan wines, which are Sangiovese blended with those non-indigenous varietals, came from Maremma. So, how does this Scansano scan? Pretty darned well, honestly. I found a fragrant nose of fresh cut plums and sawdust. The body is substantial and full-flavored with big tart cherry (Morello!) flavors backed up by dark plums and cocoa. As promised, this is very smooth for a Sangiovese-based wine, which I attest to both the Maremman climate and the Syrah smoothing everything out. The finish is long and dusky, with a combination of bitter chocolate and more tart cherry. This is really nice wine if you like rich, Supertuscan-type flavors. With big foods, it’s also a winner. Maremman cuisine is known to be rich, hearty, and often sauce-laden. With that in mind, I made one of my eggplant parmigianas to go alongside this, and it was simply a heavenly pairing. This Morellino retails for $25, and I think it’s definitely a worthy bottle at that price point. Be on the lookout for this one from Marchesi de Frescobaldi, and others that will undoubtedly appear on the wine store shelves soon. Oh, and happy birthday to my sister Annie, who has a milestone birthday today! When we checked in with Geyser Peak back in the summer, they were rolling out some new packaging, logos, and such to bring their California heritage to the forefront. Now, as winter party season rolls around, Geyser Peak is adding Pinot Noir to their stable of wines, which currently includes Chardonnay, Pinot Grigio, Merlot, Sauvignon Blanc, and Cabernet Sauvignon. Geyser Peak’s selections are what I would term “walking around wines” – wines that you might have at a party when you’re walking around, chatting with folks, and not really thinking too much about what’s in your glass at the time. In general, these are wines with basic varietal character, not too much complexity, and straightforward flavors. They’d also make decent tables wines, in my experience. The Geyser Peak 2012 Sauvignon Blanc was a little better. It seemed a little different from the bottle I sampled back in July. There are some lime, floral, and melon scents on the nose and the palate is an acidic blend of grapefruit and more of that melon flavor. The crisp finish winds up a little bit on the grassy side, so if you like a New Zealandish style of Sauvignon Blanc, you’ll probably not be disappointed with this one. The finish on the bottle from the summer seemed more fruity to me than the acidic zip of this one. For some reason, I had in my head that both these bottles retailed for around $8, which would have made them very solid wines for that price. Going back over the promo materials, I saw that the Sauvignon Blanc retails for $10-12. Certainly a reasonable value. The pinot noir is a $15-17 bottle, which I honestly feel is about five bucks too expensive. You can find better pinot noir at that price point. Think of it as Geyser Peak working out the kinks in the process. I would expect the 2013 to be better. The stretch from Hallow’een to New Year’s is often the most heavily-packed time on most folks’ social calendars. Makes good sense, after all – weather’s getting colder, so we tend to gather in groups with libations in hand to have the occasional dinner party, watch some sports, gather with friends, and basically try to stockpile enough levity to get us through the bone-chilling days before Spring comes back ‘round again. Whether you’re hanging with your friendly neighborhood ghosts and goblins, gathering for a girls’ or boys’ night, or just finding some excuse to be social, you’re going to need some wine, now aren’t you? Based on some recent samplings I’ve been lucky enough to get my hands on, here are a few suggestions for different occasions you might consider without breaking the bank. Still one of my favorite meals of the day, no matter what time of year. 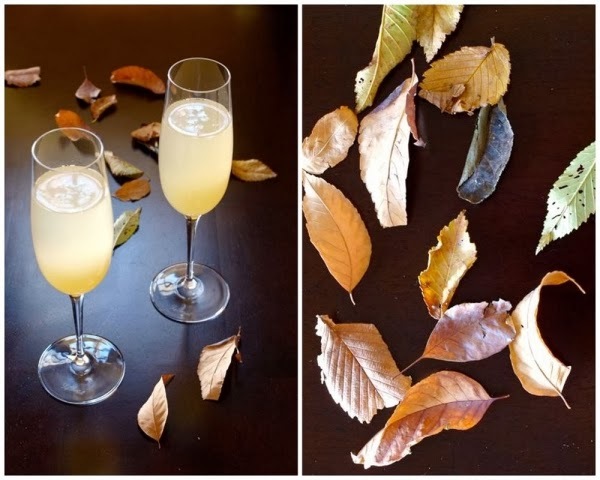 For brunch, you want something low-alcohol and festive. By festive, I often mean “something with bubbles.” One of my favorite brunch wines is Prosecco, and I’d put forward the Zardetto Prosecco Brut Treviso DOC as a possibility. Flavorwise, it’s on the peachy end of the scale along with a nice mineral character. Good firmness on the bubbles, too. I think it would be really in its element either as an aperitif, alongside a fruit and creamy cheese plate, or with a cheesy omelette or some crepes. Also, if you're a fan of bubbly as part of a cocktail -- like the prosecco and pear nectar drink above, it would work nicely as a mixer. At $14, it’s a very solid value. 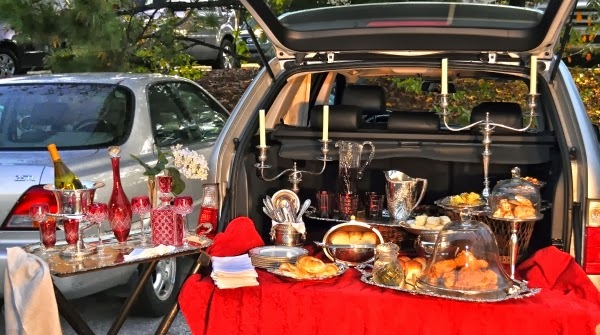 Your tailgate may not be this fancy. 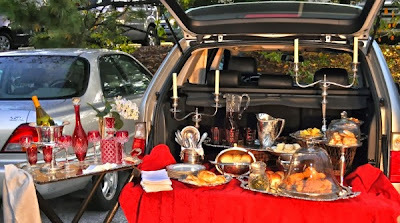 “Deer lawrd, man – you’re bringing wine to a tailgate?” Well, hells yes, I am. Admittedly, you’re going to be just fine with an armload of beer and bratwurst – but meat or meat substitute cooked over flame goes splendidly with wine as well. Take a tip from the Germans here – they know their sausages. Besides beer, Germans drink a ton of Riesling. The Clean Slate 2012 Riesling Mosel for $11 is a workable choice here. There is some sweetness here, but it’s in the “honeycrisp apple” family of sweet. Alongside the orange and peach flavors in the body is a fair amount of the mineral implied by its moniker. It finishes sweet and a tad acidic. Overall, it’s really pleasant to drink and I think you could have this with any kind of sausage. But perhaps you don’t want to be seen drinking white wine before a football game. I get that. No worries, comrades. Grab a bottle of Ravenswood 2011 "Napa Valley" Old Vine Zinfandel before heading to the parking lot. Ravenswood is a consistently solid bottle of red that goes very, very well with anything that you can drag or let stand across or near flame – whether it’s steak, burgers, chicken, pulled pork, barbecue ribs – even a quinoa burger if you’re into that sort of thing. Plunk your $14 down and enjoy. Here are a few wines that you really don’t have to think about very much. They’re simple, uncomplicated, and you can pour away without worrying about anything other than which bedroom your left your coat in when you got there. For a flexible white, consider the Pepi 2012 Sauvignon Blanc for a tenner. Many inexpensive sauvignon blancs end up being tightly wound acid balls that work better at poolside than in the middle of autumn. This bottle is much balanced and friendly than the price point implies. The nose is full of pineapple and green apple. The body is fruity and citrusy, and the acidity never really becomes sharp – even through the lingering, citrusy finish. An easy pop and pour. On the red side of things, especially if there’s some food around, I’d really recommend the Tin Roof Cellars 2010 Merlot – also at $10. The 2010 is a clear upgrade over the 2009 I reviewed last year, which wasn’t a favorite. This year, they’ve added a little bit of cabernet sauvignon and syrah to the petit sirah already in the blend. The result was a merlot with considerable structure and a much better fruit/tannin balance than last year’s. You get some coffee and cocoa flavors to take the edge off what had been a fairly “fruit-bomby” offering. From a value perspective, it’s drinking well beyond its price point and it’s flexible enough to serve as a worthy table red for almost any occasion. If you’re hosting a party and you need some wine to have around in bulk, I’d suggest the Naked Grape Pinot Noir in a 3-liter box. Let’s be honest – this is a $20 box of wine. It’s not going to blow you away as a pinot noir if you’re looking for smoky and sultry. It’s very straightforward and fruity – largely cherry and blueberry – but those fruit flavors linger all the way through a fairly soft finish with just a smidge of tannin. It’s a $20 box pinot noir – I wasn’t expecting big, complex flavors when I tried it. What I didn’t expect was just how dangerously drinkable it turned out to be. 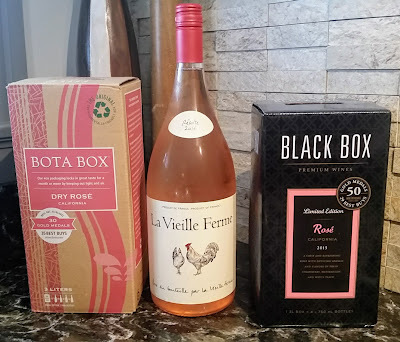 It’s relatively low in alcohol and easy to knock back – easy enough, in fact, that we powered through the box more quickly than almost any box wine I can remember. If you want to class it up a bit, pour it out into a carafe. Your peeps will think you’ve got style. Assuming most of you aren’t doing the whole white tablecloth thing, here are a couple of laid-back choices for your dining pleasure. For a red, I would consider at $13, the Poggio Anima 2010 “Asmodeus” Nero d’Avola. Asmodeus, as any owner of the original Dungeons and Dragons “Monster Manual” can tell you, is the Lord of Hell. I doubt the terroir for this wine is quite that intense, largely because brimstone is not part of this wine’s big, bright flavor. My first impression was of blackberry and cherry on the nose and palate. It’s medium-to-full body, but it’s not as “sticky” as a similarly bouqueted Shiraz would be. Instead, the finish leans out, turning first to a nice tannic dryness and then into that mineral character that many Italian wines possess. In the pink wine family, look for Mulderbosch 2012 Cabernet Sauvignon Rosé. My initial note for this wine says, “a rosé of substance.” I found plenty of strawberry and peach on both the nose and palate along with just a hint of sweetness. It finishes long and fruity, with just a little acidic zing. I thought it made a quality table rosé. With a hearty and flavorful meal (think Thanksgiving dinner), this $11 number from the coastal growing region of South Africa was very pleasant to have in the glass alongside. Finally, for a white, I give you the $10 Le Drunk Rooster 2011 Chardonnay. After a little air opens it up, a considerable amount of oak starts to emerge. I’m not talking Meridian Chardonnay levels of oak – more like a Mersault from Burgundy (although it’s not creamy like a Mersault). It’s got a tart, green apple character on the palate with a lasting oaky finish. Even as light-bodied as it is, the backbone allows it to stand up firmly next to some pretty hearty fare. We poured this with a chicken and Italian sausage casserole, and it worked just fine. Naked Vine One Hitter -- Pomino! Say it with me. "Po-MEE-no." Doesn't that sound fun? What's Pomino? It's a small wine region tucked away in the northeast corner of Tuscany, near the town of Rufina. In 1855, local winemakers, led by the Frescobaldi family, introduced some French grapes -- Cabernet Sauvignon, Merlot, Pinot Blanc, and Chardonnay alongside the indigenous regional grapes. In a stroke of good fortune for this particular microclimate, these grapes were able to thrive. The wine fairy (with some help from the folks at Colangelo PR) recently brought me a bottle of the Marchesi de Frescobaldi Castello di Pomino 2012 Chardonnay. I was intrigued. I've consumed my weight in Tuscany's scrumptious reds, but I'm completely unfamiliar with Chardonnay from there. The Italian whites I'm most familiar with are pinot grigio and the "V" family -- Verdicchio, Vernacchia, and Vermentino. I've sampled others, like Falanghina and Gavi, but if I've had an Italian chardonnay in the past, it didn't make much of an impression. The Frescobaldi Pomino Chardonnay changed that a bit. This is an interesting departure from those aforementioned Italian whites. The wines I mentioned at the top are all largely lean and acidic. This Chardonnay is certainly a lean-styled wine, but it's much richer than most of its local grape brethren. The nose is a mineral-laden combination of apple and melon, which leads to a somewhat creamy, easy apple flavor. The finish is soft, slightly tart, and slightly minerally. It's very gentle and rich. The real test of an Italian wine is being paired with food, of course. We had this alongside a penne pasta in a goat cheese marinara with some bits of capicola "bacon" tossed in. I've gotta say, it was a particularly pleasant pairing. I would imagine it would be an extremely food-flexible option if you're thinking about holiday wine. 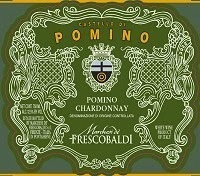 The Pomino Chardonnay retails for around $18. Frescobaldi also produces a "Pomino Bianco," a blend of chardonnay and the aforementioned pinot blanc, which I would imagine would be very much along these same lines as this wine flavorwise. If you'd like an Italian change of pace, give it a swing. There are few quality wine stores anywhere in the States you can walk into without bumping into a few Mondavi labels. Mondavi’s wines run the gamut from very expensive to downright cheap. The package that showed up at Vine HQ not long ago contained three bottles from their “Napa Valley” series. This slate of wines generally clock in between $20-50 and are from selected sites within that appellation. This series includes a fumé blanc (aka sauvignon blanc, the wine that put Mondavi on the map), chardonnay, cabernet sauvignon, pinot noir, and merlot. One of the benefits of being a wine reviewer is that, if you hang around long enough, you’ll start getting some repeat wines along the way. It turns out that I’ve actually reviewed previous vintages of all three of these wines. Larger wineries generally work differently than smaller ones when it comes to wine flavors and quality. Smaller wineries have to play the hand that’s dealt them, as they have to make the best wine they can with what grows in either their own vineyard or from grapes they can get their hands on. Larger wineries tend to find a “signature” flavor for their wines, then assemble a blend of grapes from their estates and elsewhere to keep that flavor consistent from year to year. I don’t expect a great deal of variation from year to year with wines from big producers like Mondavi, so I was very interested to see how wines from a “major” winery might vary from year to year. 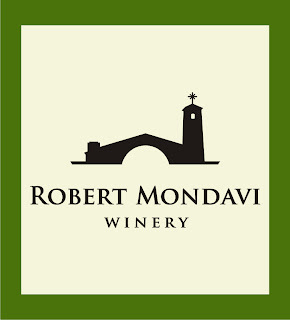 Robert Mondavi 2011 Napa Valley Chardonnay – I read over the review of the 2010 I did last year, and I can say that the winemakers of the Napa Valley series didn’t stand pat. Where last year’s chardonnay was full of big fruit and big oak, the 2011 is considerably more subtle. This year’s entry has a nose of pear and oak, which is followed by flavors of pear and apple. There’s a creaminess there that didn’t exist in last year’s model, and the oak has been dialed back considerably. It’s still an oaky California chardonnay, but it’s not quite as charcoally and has some nice subtlety on the finish. I’d call it an improvement. $19. 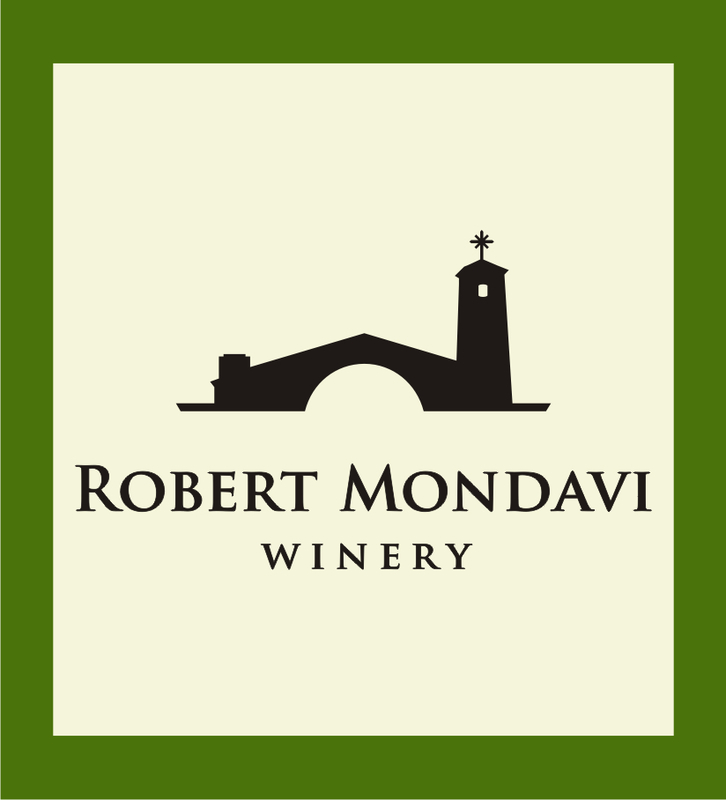 Robert Mondavi 2012 Napa Valley-Carneros Pinot Noir – In contrast, this vintage of the Napa Valley pinot noir was very similar to the previous review. For this bottle, I’d have written almost exactly the same thing that I wrote for the 2010: “There’s lots of vanilla on the nose, followed by big flavors of plums, cherries, and smoke. The finish is firm, lasting, and smoky…If you like your pinot on the bolder side, it’s a pretty solid choice.” The Sweet Partner in Crime thought that it was a merlot when I first poured it. She thought it was decent, but unspectacular. Like her, I tend to prefer my pinot a bit more subtle, especially with a $26 price tag. It paired well with some chicken breasts roasted with white wine and tarragon alongside an earthy apricot and toasted almond couscous. 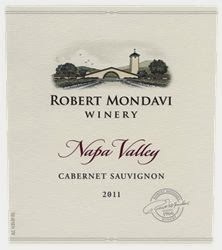 Robert Mondavi 2011 Napa Valley Cabernet Sauvignon – It was the end of another busy stretch for the SPinC and I. We wanted to kick back with a nice, easy dinner. We settled on a couple of grilled filets, some buttered carrots with fresh parsley, and a simple, fresh salad. We wanted a nice bottle of wine alongside, and this Mondavi turned out to be a perfect accompaniment for the occasion. I don’t say that because it’s a challenging, complex wine with flavors running every which way that would strike me as fascinating and unique. No, what we hoped for was a wine that was good -- a wine of quality and elegance that would accompany a simple yet well-prepared meal. We found a winner. There’s a nice blackberry and red fruit core to the wine balanced by mellow tannins, and a finish that lingers softly. As with the chardonnay, this is a marked improvement over the 2010. The blend is similar with around 85% Cabernet Sauvignon with small parts Cabernet Franc and Merlot, but they went back to the more traditional Petit Verdot as a blending grape instead of last year’s addition of Syrah. When you pop into your local wine store with your $28-ish, you can feel comfortable here knowing that you’re getting a quality product that will please most wine-knowledgeable folks at your table. The downhill run to Thanksgiving means that we need to start planning our holiday meals -- and the wine that necessarily goes alongside. Zinfandel is a popular choice for Thanksgiving and other holiday meals. Big and hearty, Zins are great choices if you know you're going to have a tableful of red wine lovers. 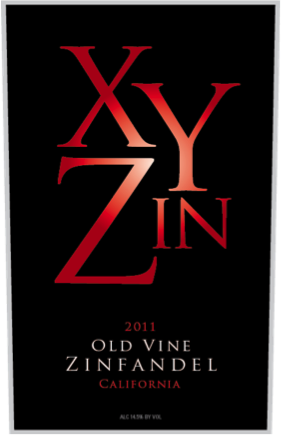 Our Friends of the Vine at Folsom and Associates sent along a sample of the XYZin 2012 Old Vine Zinfandel -- an interestingly monikered California concoction. This Zinfandel is a blend of old vine grapes from Sonoma, Lake, and Solano counties in Northern California. Largely Zinfandel, there's a little Carignane, Alicante, and Petit Sirah mixed in for good measure. I like to think about the term "Old Vine" the way that many U.S. wineries use "Reserve." In countries like Spain and Italy, there's a legal standard for what you can call a "Reserve" wine -- usually relating to time in barrel. In the States, "Reserve" usually means "the better wine from a particular winery," and there's no standard. Along those lines, there's no real guideline for what constitutes an actual "old" grapevine. The general rule of thumb is "older than 45 years. Since grapes from older vines in a vineyard tend to be the more flavorful, an "old vine" Zinfandel from a particular winemaker will likely be better than their "regular" Zinfandel -- but it isn't a very reliable measuring stick when you're comparing wines from different wineries. As with most Zinfandels, this is a pretty big, honkin' wine. The nose is full of vanilla and blueberries. There's a lot of cherry and blueberry flavor along with some nice pepperiness, especially right after tasting it. There's tannin here, but I'd certainly slant it towards the fruitier end of the spectrum. This is one of the quickest finishing Zinfandels I've ever tasted. The flavor goes FRUIT-fruit-fruit...and then quickly drops away almost to nothing, even after it gets some air. It's not necessarily a bad thing, but if you're looking for loads of rich, lingering fruit on the palate, this may not be your wine. To properly judge this wine as a potential piece of the holiday table, the Sweet Partner in Crime and I put together a Thanksgivingish meal: roasted turkey breast cutlets with a sweet potato and gold potato gratin. (And they were both awfully tasty, let me tell you!) That's where this wine belongs -- on a table next to a meal like that one. While the quick dissipation of the wine's flavor may be a little disappointing on its own -- as a table wine, it actually plays to an advantage. Thanksgiving meals tend to have dishes with flavor profiles flying in all directions, so the best wine match is one that can go well with food, but that largely stays out of the way. 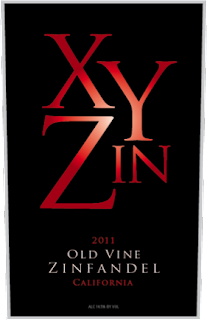 With the XYZin, the strong burst of fruit says, "Hey, I'm drinking hearty wine here!" but then doesn't conflict with any of the other flavors in the meal. At a Thanksgiving meal, most folks aren't playing with wine pairings anyway -- they just want a good glass of red if that's their thing, and this one would generally make a positive impression. XYZin retails for around $12. The next stop on our tour of Turkish wine country is Kalecik, northeast of Ankara in the province of Anatolia – home of Vinkara Winery. 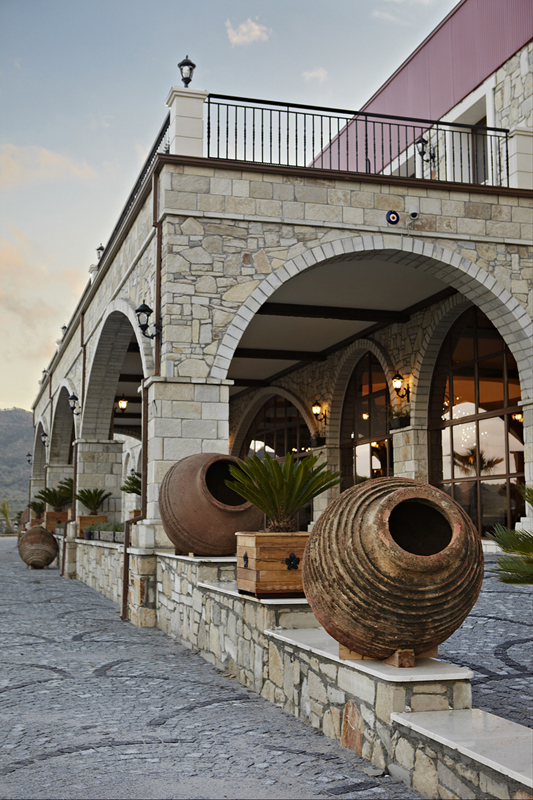 The Kalecik growing region has a very dry climate with hot days and cool nights – a classic Mediterranean climate. This province, Anatolia, is the birthplace of winemaking on our fine planet, as we’ve mentioned before. 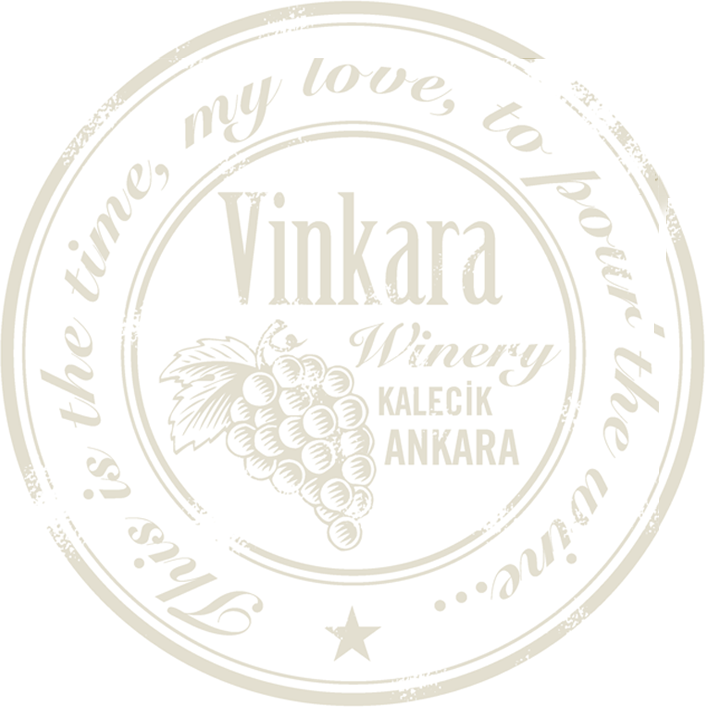 Vinkara, taking advantage of its natural terroir advantage, has chosen to focus largely on growing indigenous varietals -- Kalecik Karasi, Öküzgözü, Bogazkere, Emir, and Narince – although they do produce Cabernet Sauvignon, Merlot, Sauvignon Blanc, Chardonnay and Riesling from juice sourced elsewhere. About 60% of Vinkara’s vineyards are planted in Kalecik Karasi, unsurprisingly and obviously a grape with origins in the surrounding region. Vinkara Winery 2011 Kalecik Karasi – As I’ve mentioned in some of the other Turkish reviews, Kalecik Karasi (pronounced KAH-le-djic car-AH-suh) is probably my favorite indigenous Turkish red varietal. I’ll liken it to a solid, quality Burgundy. The nose and palate both have an interesting “fresh cut wood” flavor, along with a fair amount of cherry-ish fruit. It looks very light, but the weight of this wine belies the eye. It’s got a well-balanced structure with enough tannin to hold up under most circumstances. The finish is long and smoky with a good fruit backbone. In short, this is one dangerously drinkable wine. When we had this alongside a dinner of roast pork tenderloin with carrots, chickpeas, and dried cranberries in an orange sauce, we powered through the bottle before we knew what hit us. It’s a wonderful food wine. When I looked up the price point, I did a double take. This is a $15 wine. Get it. Vinkara Winery 2012 Narince – The “grape leaf” wine returns to the Vine. If you’ve ever had Mediterranean stuffed grape leaves, Narince (pronounced NAH-rin-djeh) grapes commonly come from vines that produce those particular leaves. As I mentioned, this is a white that definitely needs decanting. We didn’t finish the bottle the first evening, and the flavor was much more balanced and less astringent the second day. You don’t need to wait a day, but open and decant half an hour before you try it, and you’ll be rewarded with a rich, tropical bouquet that leads to flavors of apricots and pears. It’s medium to full-weighted with a fairly creamy flavor, and the finish reminded me a little of lemon pie. I wouldn’t have recommended it the first night, but the extra air makes a big difference. It’s a pretty solid choice for a $15 bottle. Vinkara Winery 2010 Kalecik Kasari Reserve – The Reserve differs from the standard bottle here by way of 14 months of aging in French oak, followed by an extra year of aging in the Vinkara wine caves. Boy howdy, is this a tasty wine. Like its counterpart, it looks light in the glass but packs a flavorful punch. The nose is a complex mixture of cherry, blackberry, some more of that fresh cut wood, and some floral aromas. It’s medium bodied with plenty of cherry and wood flavors. The finish is long, gentle, and softly tannic – with a little bit of a minerally chalky flavor. We opened it a couple of hours before dinner – which this particular night was one of my red sauce pastas with Italian sausage, mushrooms, and garden herbs. A delightful accompaniment. Think of this along the lines of a high-end Chianti Classico. Worth every penny of the $25 price point. Vinkara Winery 2010 Narince Reserve – The reserve is a markedly different wine than its younger cousin above. It’s a fascinating wine, aged similarly to the Kalecik. Do a thought experiment with me. Imagine a good quality California chardonnay with a good butter/oak balance along with good apple and apricot flavors. Got it? Now dial back the weight a bit so the body is in the range of a sauvignon blanc. That’s what you’ve got here – a complex, nicely balanced, not overly heavy white that could probably stand up next to just about any food short of beef or heavy red sauces. The Sweet Partner in Crime had a work at home day (which just happened to align with a St. Louis Cardinals’ victory in the NLDS, so she was happy) and she took the opportunity to make chicken noodle soup from scratch. While you don’t typically think of chicken noodle soup as a food to be paired with wine, we pair all our food with wine for the sake of science. And, believe it or not, I would be hard pressed to find a better pairing for this wine than that delicious soup. I’m impressed with the “range” of Narince, and I look forward to trying more of these. The reserve, as with its Kalecik counterpart, is around $25. Keeping with our theme this week of wine for fun social events, here are a couple of additional bottles for consideration as party season gets under way. This pair of bottles – courtesy of Nicole at R/West – would be perfectly workable suggestions for a shindig at any time of day. Clean Slate 2012 Riesling Mosel – A brunch wine if I’ve ever tasted one. I was initially a little concerned when I saw the 10.5% ABV on the label. I half-expected a thick, syrupy glassful. Thankfully, this Riesling from the Mosel region of Germany dispelled that apprehension in short order. There is some sweetness here, but it’s in the “honeycrisp apple” family of sweet. Alongside the orange and peach flavors in the body is a fair amount of the mineral implied by its moniker. It finishes sweet and a tad acidic. Overall, it’s really pleasant to drink. It’s recommended with spicy foods – Asian and Tex-Mex – or sushi. We made a Thai-ish tofu stir fry in a spicy sauce and it worked wonderfully. Just the same, I can absolutely see ordering a bottle of this with eggs benedict. Heck, at 10.5%, you should have it for breakfast. And at $11, you can do it without batting an eye. Zardetto (NV) Prosecco Brut Treviso DOC – After an exceptionally busy week at Vine HQ, the Sweet Partner in Crime and I discovered that we were basically out of ingredients from which we could cobble together dinner. The cupboard was bare and neither of us had the energy to make a store run. We initially thought about ordering Chinese takeout, but our neighborhood place was closed for remodeling. The call went out to the local pizza joint instead. Happily, Winebow had sent us a bottle of Zardetto Prosecco for sampling. As long time readers know, I find pizza and drier bubbly to be a divine combination. The Zardetto came through nicely in a pinch. It’s a little more fruit forward than I ordinarily would have wanted with pizza, but the pairing worked well enough. Flavorwise, it’s on the peachy end of the scale alongside a nice mineral character. Good firmness on the bubbles, too. I liked it quite well with the pizza, but I think it would be more in its element either as an aperitif alongside a fruit and creamy cheese plate – or as another brunch option. I think it would be wonderful with a cheesy omelette. Not a bad price at $14, either. The set contained wines from three of these labels – all relatively inexpensive bottles squarely in the “take to a party” or “crack at a casual dinner gathering” category. Camelot (NV) Pinot Grigio – A set of Camelot samples came to our rescue during our recent kitchen remodel, but this pinot grigio was not among that set. “It’s peachy,” were the first words out of my mouth at my first taste of this inexpensive white. I’ll say this for it – it’s certainly got more body and fruit than many wines at this price point. Most cheap pinot grigio tends to be fairly mild and almost watery. Not so much here. The nose and flavors, as I said, lean peachy. The finish is a bit odd. There’s a little bit of a bitter undertone that seems to be covered by the addition of a little residual sugar. We are talking about a $7 wine here, so nitpicking the finish is a bit much. It’s drinkable enough if you’re not thinking too much. on the finish. I thought it started much like a typical demi-sweet Riesling, with flavors like honeycrisp apples and some solid weight on the palate. However, rather than simply having a smooth, sweet finish, this one finishes with a little bit of a lemony zing as well, which was an improvement. The usual Riesling pairings go here – fruit, cheeses, and spicy Asian dishes. We had this alongside a spicy beef and rice noodle salad and it worked just fine. I think it’s a decent value at $12. I sampled Tin Roof’s previous vintage last December. Their sauvignon blanc appears to be a model of consistency. I wrote this review for the 2011: “At first sample, some slightly herbal overtones led to a green apple scented nose. This wine’s mouthfeel has pretty reasonable weight with tart apple and lime as the major flavors. The finish has a bit of an acidic bite, but that’s what you’d expect in a sauvignon blanc. I found it flavorful and drinkable…” My notes (and no, I didn’t cheat) were almost word for word for this year’s entry. Sauvignon blancs run the gamut – so if you really like an acidic style, this might work fine for you. For $10, you’re getting a pretty good deal on a straightforward, food-friendly sauvignon blanc. The 2009 Merlot wasn’t one of my favorites. I thought it was a pretty good food wine, but it left me cold on its own. Whether my review had anything to do with it or not, I tip my hat to the Tin Roof winemakers. The 2010 is a clear upgrade. They’ve added a little bit of cabernet sauvignon and syrah to the petit sirah already in the blend. The result was a merlot with considerable structure and a much better fruit/tannin balance than last year’s. You get some coffee and cocoa flavors to take the edge off what had been a fairly “fruit-bomby” offering. From a value perspective, it’s drinking well beyond its $10 price point. With food, it’s flexible enough to serve as a worthy table red for almost any occasion. We had it with a beer-braised chicken with lime beans and peas in a creamy sauce. Reds are good chicken accompaniments in certain circumstances, and this turned out to be a very nice pairing. Wine at Great American Ball Park? Really? Walk into GABP and you’ll run across a cornucopia of food and drink options. At its heart, though, Cincinnati is a dog-and-a-beer sort of town. That’s why I was a little surprised to see Lance Lambert’s recent article in the Enquirer about W1NE for One, a partnership between Steelhead Vineyards and one of the Reds’ favorite sons, Hall of Famer Joe Morgan. W1NE for One (which is currently driving my spellcheck bonkers) is marketed as the “next generation of single serve wine.” I’ll admit – it’s like nothing I’ve seen before. The wine comes in a plastic 187ml screwcap bottle. The “cap” is actually the bottom of a plastic wine glass – so there’s no need to pack along additional glassware and you actually get to feel like you’re drinking a glass of wine while you’re out, rather than surreptitious sips out of a Solo cup. I think it’s a great concept for picnics, hikes, concerts, and other such out-of-the-house situations. Morgan, who became interested in wine during his stint with the San Francisco Giants (where he once made a barrel of wine under the instruction of Robert Mondavi), thinks the New Zealand-designed bottles are the key. “This wine is great for a setting where you are around a lot of people, or somewhere you might bump into people, because of the bottle’s size,” he told Lambert. After reading the article, I shot a note to Steelhead Vineyards. Katy Leese, who owns Steelhead with her husband Dan, was good enough to send me some sample bottles of W1NE for One, as well as a couple of other Steelhead wines available in the Cincinnati area. These wines fill that bill. Neither one is going to blow your doors off. The merlot is solid and standard in the flavor department. It’s got pretty decent plummy fruit with enough tannin to give it a backbone. The chardonnay is a mild California version. There’s some creaminess, some gentle apple flavors, and a little more oak than is my typical preference. I preferred the merlot, but I wouldn’t turn down either one of them if someone offered them to me. Will these wines replace beer as my gametime beverage of choice? Not likely. But I could certainly see times when these wines – and their super convenient delivery systems – would be just what the doctor ordered. Unfortunately, with the potential of the playoffs upon us, I wasn’t able to do what I *really* want to do with these wines. If a ballpark’s going to be offering wine as a beverage option, then the wine should be enjoyed in its natural state – paired with ballpark concessions at GABP. I want to know how these wines taste with a loaded bratwurst, nachos, ballpark peanuts or funnel fries. You know, for science. The public deserves to know. So, if the Reds have the good fortune to be back at GABP for the playoffs and you'd like to do some advance scouting – the Vine wants your comments. W1NE for One will set you back $10 at GABP. For reference, a 187ml bottle is one-quarter of a full-sized bottle – so a little more than a standard glass. Ballpark pricing, after all. In local stores or on the Steelhead website, you can get a case of 24 individual bottles for $96. 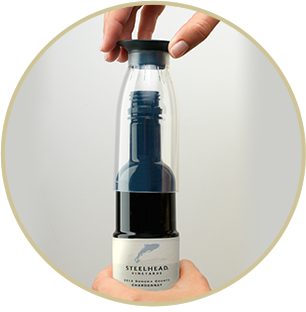 Steelhead donates part of the proceeds from the sale of each bottle to various conservation efforts. First up, the Steelhead Red. This red cuvee is a little curious, flavorwise. It’s a fairly substantial wine that comes on strong with plum and blueberry fruit. That flavor kicks into cherry in the middle, and finishes with a good balance of fruit and tannin. I wondered at the time if it might be some sort of Zinfandel-based blend, and after checking the specs, I was dead on. It’s about 70% Zin, with petite sirah, syrah, and a couple of other grapes rounding it out. I preferred it with food to sipping it on its own. Think about it as a “California Barbera” pairing-wise. Barbera goes really well with red sauces and spicy meats, like sausages, as a rule. We had this alongside homemade pizza with a goat-cheese blended red sauce, salami, basil, and lots of garlic. With those flavors – meat, spice, richness – it was a champ. I’d get it again for that alone. The sauvignon blanc is one of the lighter ones I’ve tasted in awhile. “If I tried this blind, I might think it was a pinot grigio,” quipped the Sweet Partner in Crime. It’s quite light, with a nose and flavor of pineapple and grapefruit. The finish starts tart and finishes up with just a little bit of sweetness crossed with lemon rind. I’d put it in the “serviceable, flexible quaffer” category. By itself, it’s in the pool wine category, but it went along happily enough with a cod-based fish stew with potatoes, fennel, and garden tomatoes. Would be a little pricey at $15, but if you can find it for $10 and you want something light and food-friendly, you can be comfortable snagging it. If you're an aficionado of the Mesozoic Era, head down to the Cincinnati Museum Center this Wednesday evening, September 25th, from 7-9 PM for a special dinosaur-themed wine tasting. 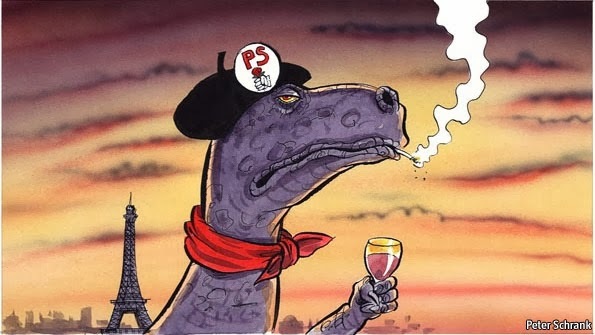 What do wine and dinosaurs have in common? Find out at this dinosaur-inspired wine tasting with wines from South America. Step back in time to Gondwana when these wine regions were the stomping grounds for some of the fascinating dinosaurs that can be discovered right here at Cincinnati Museum Center. The event, which will be held in the lobby outside the Ultimate Dinosaurs exhibit will include five wines and food pairings. Prior to the event the OMNIMAX ® film Dinosaurs: Giants of Patagonia will have a late showing at 6PM and the exhibit Ultimate Dinosaurs: Giants from Gondwana will be open throughout the event for guests to purchase at an additional price. Members $20, non-Members $30. Call (513) 287-7001 to buy tickets. Our tour of Turkish wines takes us to Izmir in the heart of the Aegean winemaking region and one of the “older modern” wineries in Turkey, Sevilen Winery. Sevilen celebrated its 70th anniversary last year at the Isabey Vineyard and Winehouse, Sevilen’s on-site fine dining restaurant. The winery was founded in 1942 by Isa Guner, a first-generation immigrant to Turkey from Bulgaria. Guner’s travels in France planted the mental seeds for Sevilen, and the vineyards sprouted soon after. Now managed by third generation of the Guner family, Sevilen draws upon the winemaking expertise of Florent Dumeau, a consultant from Bordeaux, to produce its wines; as well as a partnership with a Turkish university to create better barrels from French oak. Sevilen’s estate-grown grapes are sourced from two main Aegean areas: from the coastal region around Izmir and from the Güney plateau somewhat farther inland. The two areas are climactically different. Izmir is warmer, similar to the weather around Athens – while Güney, at an elevation of 900 meters (about half a mile), has a climate closer to the Rhone region of France. This pair of Sauvignon Blancs provided an interesting contrast. (Just for information’s sake – Fumé Blanc is just another name for Sauvignon Blanc.) The “non-numbered” wine, which runs about $15, is almost austere until it gets enough air. Once it had time to breathe a bit, it settled on my palate with plenty of lime and apple. I found a fair amount of tropical fruit on the lean body along with a powerful backbone of mineral. It reminded me a lot of Muscadet with more tropical flavors. The 900, which is only available in limited quantities for around $25, was one of the more interesting wines I’ve had in awhile. “It tastes like a margarita!” exclaimed the Sweet Partner in Crime, and she didn’t mean that in an “I’m on the beach in Mexico” manner. The nose is lime and green apple, with some more apple on the palate initially – but the finish becomes a rocketship of lime and mineral that made me pucker. Even after lots of air (and even the next day), there was enough lime in this wine to cure scurvy. If you like really acidic sauvignon blanc, this might be a wine for you. I didn’t mind it, but the SPinC had a strongly negative reaction. With food – specificially shrimp roasted in herbs -- the less-expensive Sevilen was the superior wine. I’d get that one again. I’d probably pass on the 900. The Centum is a full, rich, opulent wine. It’s a full-tasting wine without being too overly heavy. I found lots of dark plummy fruit and exceptionally well balanced tannins. The texture on this wine was lovely. There’s a big nose of vanilla and caramel. I thought this was a really nice wine, and the description of similar terroir to the Rhone is apt here, as the flavor ends up in the neighborhood of a high-quality Cotes du Rhone. It also calls out for Big Food. We grilled up some lamb burgers and sautéed up some potatoes to go alongside the pairing. The Centum was exceptionally good with the burgers. It also worked well with some strong Roquefort cheese that we tried for dessert. It retails for around $30. Sevilen 2009 Kalecik Karasi Denizli-Güney – Kalecik Karasi has become one of my favorite Turkish indigenous grapes, but definitely take heed of my “let these Turkish reds breathe before you drink them” advice with this one. After only a few minutes open, it’s tannic and almost sour. There are few wine metamorphoses I’ve experienced more dramatic than this wine has after decanting and some solid swirling. The tannins and tartness mellow and blend into a fragrant nose of vanilla, plums, and fresh cut wood. The body is fullish, with tarry, black fruits abounding. The finish is full of coffee and more dark fruit. We were making kebabs the night we opened this because I figured, “Hey! Turkey! Kebabs!” With the ingredients we had around, the meal’s flavors ended up being much more Cajun than Mediterranean in nature, especially with a side of red beans and rice. Even alongside those spices, this was quite a nice pairing. I would recommend it, especially at $15. Sevilen 2010 “R” Syrah-Cabernet Sauvignon Rosé Izmir/Menderas Valley – A very pleasant, straightforward rosé, and the first of the Turkish wines that didn’t require at least 10-15 minutes of air when opened. There’s a very pleasant peach and vanilla nose. Those flavors are echoed on the palate, which is on the lighter side and gently fruited. Weightwise, it’s along the lines of a Cotes du Rhone rosé. The finish is soft, slightly grapefruity, and lasting. An excellent choice with many foods, too, I would imagine. We had this alongside a “Spanish Mixed Grill” – chorizo sausage, chicken thighs in an adobo-lime-garlic marinade, and yellow rice. The fruit held up just fine against those spices and flavors. I’d certainly give this a second try. And it’s very reasonable at $13. Let’s take a little trip southward from Eurasia and the world of Turkish wines through the Suez Canal, across the Red Sea, and down around the Cape of Good Hope to South Africa, shall we? The wine fairy (with an assist from Paul Yanon of Colangelo PR) delivered a package of summer happiness to Naked Vine HQ from Mulderbosch, one of the better-known South African wineries. 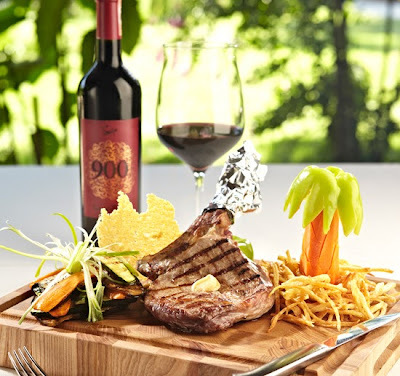 Mulderbosch Winery, located in the Stellenbosch region of South Africa, has changed hands several times over the last few decades. Mulderbosch was purchased most recently by a group of investors led by Charles Banks, former partner in Napa’s Screaming Eagle winery – one of the most famous of the “cult” California Cabernets. (A bottle of Screaming Eagle will set you back around $1500 at the low end.) Mulderbosch isn’t in the business of making wines quite that high end. These wines run in the much more Vine-friendly $10-20 range. Mulderbosch 2011 Chenin Blanc Steen op Hout – “Steen op Hout” translates from Afrikaans as “Stone on Wood,” which is a decent descriptor for this particular white. Word to the wise, this is a wine that needs a little time for its natural funk to blow off before. My recommendation would be to crack it and allow at least 10 minutes before you dive in. Once you do, you’ll run into a firm floral nose with a strong lemony tone. The flavor, as promised, has a really nice mineral character alongside a solid backbone of grapefruit. The finish is very flinty with a little bit of a bitter, lemon rind-y aftertaste and just a hint of oak. I love the provided note for this wine: “A delightfully accessible wine that is mouth-wateringly moreish.” Some of the food recommendations for this wine include bobotie, savory mince and saffron rice dish, and biltong, a South African version of beef jerky. We had it with beef and broccoli in a spicy brown sauce and it went quite nicely. $12. 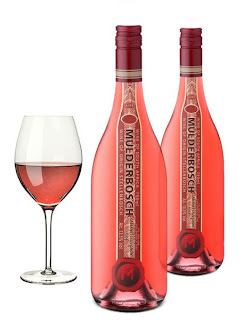 Mulderbosch 2012 Cabernet Sauvignon Rosé – My initial note for this wine says, “a rosé of substance.” If you like fruit-forward pink wines, this will be right up your alley. I found plenty of strawberry and peach on both the nose and palate along with just a hint of sweetness. I’d call it “fully fruited.” It finishes long and fruity, with just a little acidic zing. I thought it made a quality table rosé. We had this with some roasted peppers stuffed with ground turkey, brown rice, pine nuts, and dried cranberries. The meal was hearty and flavorful, and this number from the coastal growing region of South Africa was very pleasant to have in the glass alongside. $11. Mulderbosch 2011 Sauvignon Blanc – Like it’s chenin blanc cousin above, this sauvignon blanc definitely needs some air when first opened. Otherwise, it will likely taste a little alkaline. Once the wine takes a deep breath, you’re treated to a pungent nose and strong flavors of pineapple and papaya. I thought it had a fair amount of weight and some nice minerality that eases into a lasting, peachy finish. Our first attempt at a food pairing with this wine was a botch. Initially, we tried it with roasted Caribbean-style pork tenderloin and a salad of hearts of palm and black beans. It clashed, so we screwed the cap back on and popped it back in the fridge for the next night -- when we heated up some absolutely scrumptious paella left over from the weekend. Night and day. With the paella, it was an excellent pairing. I should have read the label first. Paella is one of the suggestions. Interestingly, the label also suggests this sauvignon blanc as a match for goat cheese, asparagus, and artichokes -- three notoriously tough foods to pair, so file this one away for future reference. $13. Mulderbosch also produces two versions of Chardonnay (a standard and a “barrel fermented” that sounds interesting), a late-harvest version of the Sauvignon Blanc, and a Bordeaux-style blend called “The Faithful Hound.” I'm very interested in trying the Charles Banks single vineyard Chenin Blanc creations down the line. 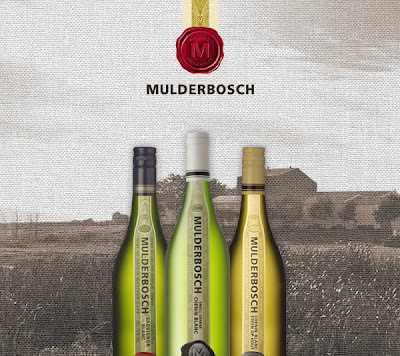 Mulderbosch wines are readily available at good wine stores across the country.